Extraordinary charcoal drawing from Jim, these really need to be seen to do them justice. 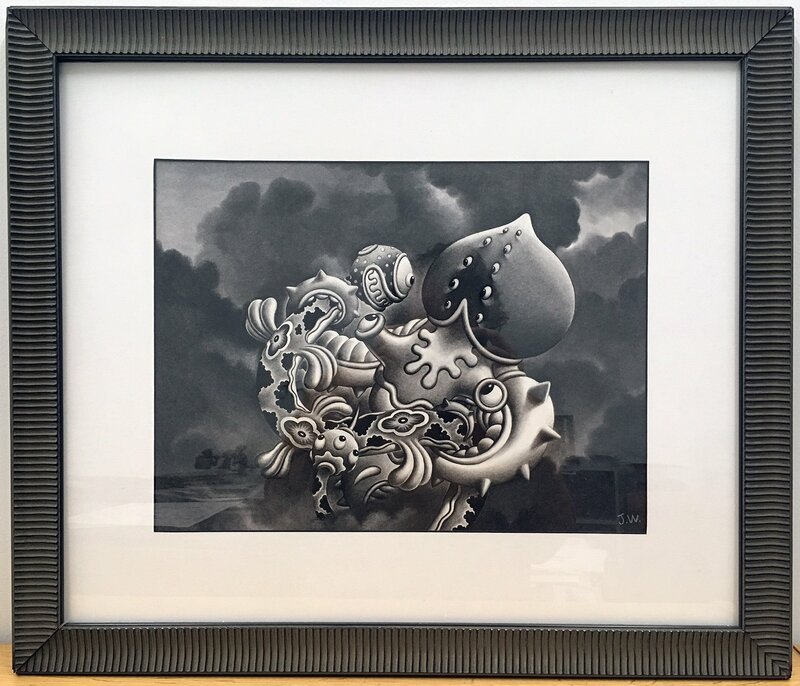 Charcoal on paper, image size 15 x 12 inches, professionally framed to 24 x 21 inches. Excellent condition. 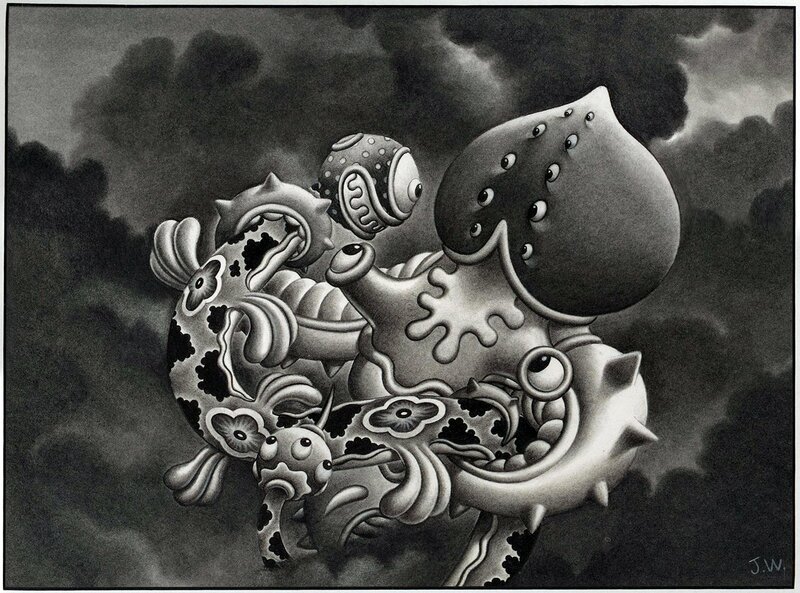 Initialed in the image, singed, titled and dated by Woodring on the reverse. See other images for a picture of the frame.